Hey everyone so today I was a little bored and I wound up on YouTube and of course I ended up watching like hours of videos about law school 😂 So I thought I'd share with y'all some of the videos that I found! 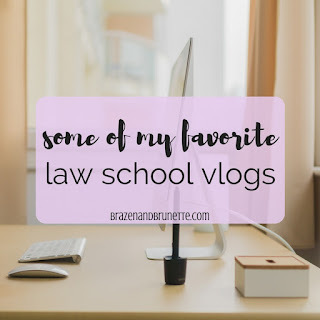 For the most part, the vloggers are mostly just on YouTube for fashion/makeup or whatever and just happen to be in law school and share their experiences so that's why I'm sharing specific videos rather than their whole channels. These are all a theme of why law school/law school advice/what law school is like. Just because I'm sure y'all get tired of reading so much so here's a break from reading! Whoah, thanks for putting together this roundup. 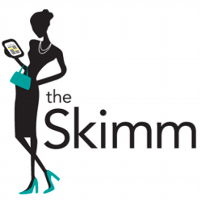 I had no idea people were creating things like this on the internet. Are these legal youtubers in the making?? Thanks! I found videos from who were pre-law, law students, and law grads. Most of them have more videos about law school, but I just chose what I thought would be most helpful or relevant for this post. Also, I'm sure there's lots of other great YouTubers talking about law school, but I didn't want this post to be too long. If I find more, I might make a second post!